Years ago (in what sometimes feels like a galaxy far, far away), I worked with a truly outstanding salesperson – I’ll call him Bob – to protect the guilty and the innocent. Many of this things that came out of his mouth during conversations with prospects stay with me to this day. He had a way of creating anecdotes and concepts that was truly unique, cleverly distilling business concepts down to practical, recognizable tidbits. He truly was a master at helping the customers ask the right questions. We were selling Recruitment Process Outsourcing (RPO) services, at a time when RPO was not truly understood (not that it’s significantly better now!) in the marketplace. 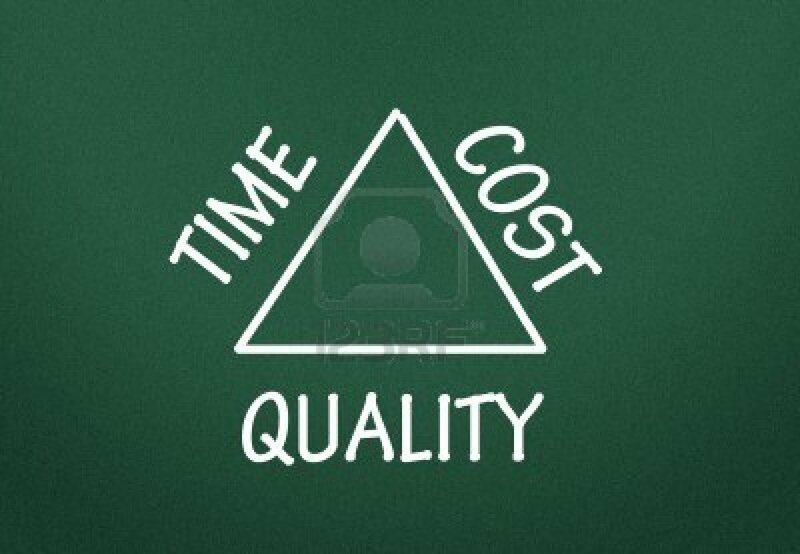 During one particular sales call with a large telecom company, we were having a discussion with the head of HR around the cost, speed and quality of the recruitment function, and their desire to reduce the cost, reduce the time-to-fill and dramatically increase the quality. It was an entertaining conversation because as a practitioner of recruitment delivery, it was clear to me that picking one or two to improve upon is generally a much more practical approach. At one point during the meeting, our prospect asked the question that no solutions salesperson wants to answer – “How much does your service cost?”. Bob, without pause answered “anywhere from free to a million dollars per hire, depending on the service levels they wanted”. At first my reaction was one of shock (and laughter) as it seemed like a flippant answer to a serious question, however, as the conversation proceeded, this new “Bob-ism” really started to resonate with both the prospect and myself. If we dissect the concept a little… What Bob was saying was that if the customer wanted to have pre-screened candidates, available at a moment’s notice, with all the proper education, experience and knowledge criteria met, we’d be happy to provide for a million dollars per hire. On the other end of the spectrum, we would gladly do absolutely nothing – and the cost would be zero dollars per hire. That made sense. 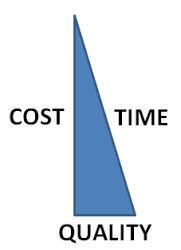 Taking this idea just a little further, the relationship between cost, quality and time began to align. Over time, the concept developed into two directions for me. One being that value is far more pertinent to conversations about the impact that recruiting is (or isn’t) having within an organization and two, to figure out how to make that impact, there needs to be some element of agreement between HR, Recruiting and the Hiring Manager community for any recruitment function to be successful. HR’s Priorities: Desire to have a consistent, repeatable recruiting process that insures compliance, fairness, candidate care, and if they own the budget, a very, very low cost and if the Hiring Manager owns the budget, money was no object. In addition, aligning the hiring to the company’s values and positional competencies. Recruiting’s Priorities: Desire to keep everyone happy. Most focus was on Quality and Time. Not terribly concerned with either process, compliance, or (rather sadly) candidate care, they are also not overly concerned with budget as it is generally managed by either HR or the Hiring Manager. So, where does that leave us? As we reshape the triangle, we’re going to impact one or more of the groups involved in the recruiting process. Many organizations that I’ve worked with have initially focused entirely on the Hiring Manager’s desires. 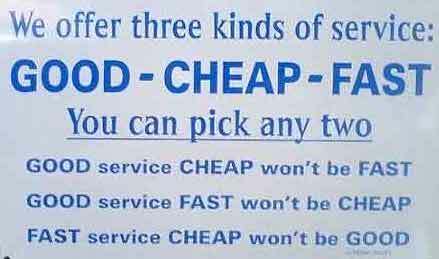 Though this approach would appear to make sense, there are some big-picture issues with striving for quality and speed with little regard for cost. For instance, whether Hiring Managers care or not, I would bet that your CFO cares what you spend on recruitment. By only focusing on the short-listed candidates you will likely not be spending time and energy to create and uphold your employment brand. Treating the candidates with dignity, respect and honesty will help maintain your talent pools, your employee referral quality and volume, and amplify your ability to attract great candidates within your market. I have successfully facilitated workshops with HR, Hiring Managers and Recruiters using the image on the right as a conversation starter. Reviewing everyone’s needs and desires as a group is often eye-opening. Gaining consensus (or at least some level of understanding) on the approach, constraints, and objectives will go a very long way in setting expectations and creating accountability in your recruiting process. Though we can impact the amount of time (time-to-fill), the quality of hire and the cost to recruit, it is virtually impossible to achieve all three. We did win the business with the telecom company, settling on a cost per hire somewhere in between free and a million dollars a hire – though our CFO did comment that further north of zero would have been better… They are still a customer of my former employer and are receiving significant value from the recruitment function. 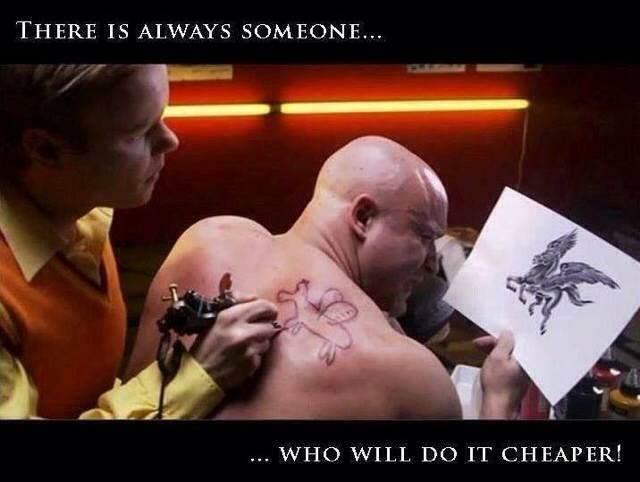 They’ve both found and maintain the balance between time, quality and cost.